The apex court on Wednesday told that a mosque will remain 'mosque' even after it has been destroyed by a 'barbaric act'. "A mosque will remain a place of worship even after it has been destroyed," senior counsel Rajeev Dhavan told the bench of Chief Justice Dipak Misra, Justice Ashok Bhushan and Justice S. Abdul Nazeer, hearing a batch of cross-petitions challenging a 2010 Allahabad High Court judgement on the Ayodhya title dispute. Dhavan appears for Mohammed Siddiqui, the main petitioner in the title suit, now being represented by legal heirs. 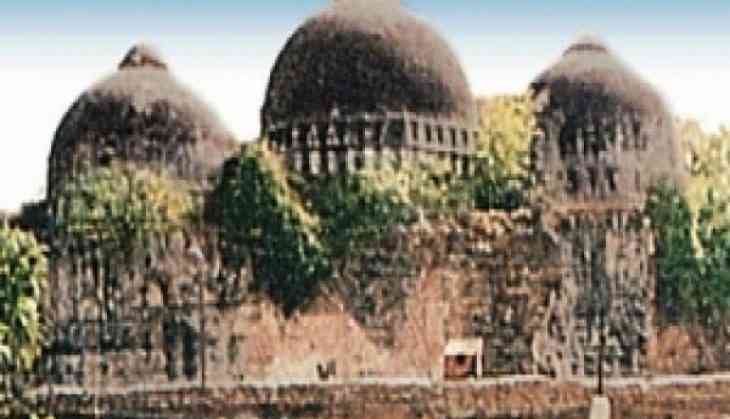 "There is fear that if the argument that mosques are not an essential part of worship is upheld, what happened to Babri Masjid might happen to any mosque in the country," Dhavan argued. "It is quite a different matter to say that an area has been acquired and quite another to say mosque is not a mosque forever," Dhavan said. The Supreme Court on Friday told that before taking decision on the national dispute Babri Masjid-Ram Janmabhoomi, it would first re-examine whether a 1994 judgement which suggests that "a mosque is not an essential part of the practice of the religion of Islam and namaz (prayer) by Muslims can be offered anywhere, even in open" requires to revisited by a larger bench. Stating the December 6, 1992, demolition of the Babri Masjid as a "barbaric act", Dhavan said: "What was desecrated was a mosque and what court is being asked to is to protect the idols (of Ram Lalla)." Dhavan further added, "It is abundantly clear that a mosque should be treated as equal any temple" and "Ramjanmabhoomiu is equal to the mosque". Dhavan referred the two powerful Rath Yatras'' led by senior V=BJP leader L.K. Advani, Dhavan told the bench that "there was strident, calculated and deliberate attempt to destroy Babri Masjid". On March 14, in the last hearing of the matter, Dhavan told the court that if the position in the 1994 verdict was to be first accepted and then except for Makkah, Madinah and Dome of the Rock in Jerusalem, rest of the mosques will be of no consequence to Muslims. On the next hearing on April 5, Dhavan will address the top court on what mosque means to Islam.